This 36-page ebook is in full color, PDF format. A PDF reader, such as 'Adobe Reader' (for Win/Mac) or 'iBooks' (for iPad) is required to read this ebook. It is DRM-free (no Digital Rights Management) but it is discreetly watermarked with buyer's name and email on every page. After purchasing with PayPal or credit card, you will receive a download link via email which is valid for 30 days or up to 9 downloads. 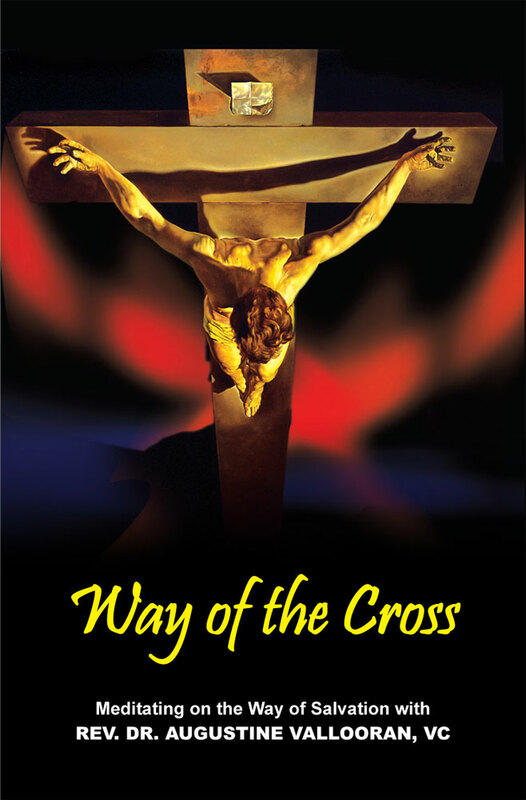 This prayer ebook provides meditations on the way of the Cross, the way to salvation. By meditating on the passion, death and resurrection of our Lord and Saviour Jesus Christ we are entering the most precious hours of the earthly life of Jesus. This one is for the grown-ups. I am helping to raise funds for the Divine Retreat Centre (DRC). This retreat centre in Kerala, India, is the largest Catholic retreat centre in the world. The Way of the Cross ebook includes meditations written by DRC's Director, Rev. Fr. Augustine Vallooran. Please help to support their cause to bring people closer to Jesus! All proceeds from this ebook go to Divine Retreat Centre. Introduce the Saints to your kids the fun way! How Do You Introduce the Eucharist to Your Kids?